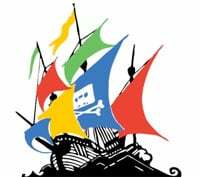 During the past week the MPAA has been reiterating its complaints that Google doesn't do enough to slow down Internet piracy. However, speaking with TorrentFreak the admin of one of the world's largest torrent sites claims that the world's largest search engine has made numerous tweaks to its algorithms over the past 18 months that have had quite an impact on search traffic. For the last couple of years the music and movie industries have kept up the pressure on Google, blaming the search engine for connecting would-be pirates with unauthorized online content. One of the main remedies touted by copyright holders is that Google should tweak its systems here and there in order to make pirated media harder to find. Google says it has done so, but entertainment industry groups remain unimpressed. The RIAA has been particularly vocal but last week it was the turn of the MPAA to crank up the pressure. With the publication of a new report the MPAA insisted that changes made by Google to its search algorithm had not been effective in reducing piracy. So, while the MPAA, RIAA and Google continue to fight it out, TorrentFreak took the opportunity to listen to the opinions of those meant to be hardest hit by Google’s tweaks. With the assistance of his SEO experts the administrator of one of the world’s largest torrent sites agreed to tell us about his recent experiences with Google. The admin, who requested anonymity, told us that there are two key algorithms that influence file-sharing sites – one called ‘Panda’ and the other called “Penguin”. In December 2012 both algorithms received updates that were very important for file-sharing sites. As previously reported, Google also began removing the word ‘torrent‘ and other related terms from its Autocomplete. With other tweaks it now appears that infringing content is being pushed further out of sight, unless users specifically ask for it. “If in 2012 you typed in the name of some new movie, the top 10 results would mostly contain file-sharing sites, but after the first three months of 2013 those links had moved far away from the first page or had disappeared completely,” the admin said. In April 2013, Google introduced a new Penguin update. “Targeted mostly at the U.S., the algorithm analyzed links to a website and if most links were outside the U.S. then the website was assumed to be targeting non-US visitors. This meant that Google could put the website lower in search results shown for U.S. visitors,” the admin revealed. And of course, this year Google has had to work harder than ever before to respond to millions of copyright holder complaints. “This resulted in a ban of home pages for many torrent sites as well as many internal pages too, of course,” he said. Sites like The Pirate Bay are blocked by court order in many countries around Europe. As a result dozens of proxies have sprung up to help users regain access to their favorite file-sharing domains. But while workarounds are always available, blocking has apparently had an effect on file-sharing site placement in search engine results. “When websites lost a big portion of traffic from a certain location, Google downranked them in search results for that specific location. That made it possible for new small sites to take high positions instead of the big sites, such as proxies or similar sites that allowed people to avoid the blockade. Actually the traffic to file-sharing sites remained the same but became more decentralized,” the admin explained. Last month there were yet more developments, bringing both positive and negative. “The bad news was that after another update Google started to focus more on the ‘core’ search queries that lead visitors to a website. Less frequent queries were considered less important and file-sharing websites lost some positions with these queries too,” he said. But the changes weren’t all bad. For example, Google Webmaster Tools informs what pages are violating the guidelines and allows site owners to fix these problems. “Google Webmaster Tools now allows a webmaster to see if a website or a page is filtered out of search results, making it possible to make changes and avoid the filter in the future,” the admin concludes. In conclusion it seems that Google has indeed made a number of changes that have affected the search rankings of file-sharing sites, whether directly targeted for anti-piracy purposes or other reasons. Nevertheless, there is no doubt that the entertainment companies will keep coming back for more, no matter what concessions Google makes. The big question is whether any changes will actually reduce piracy at the same time as they reduce search traffic to file-sharing sites. At the moment, at least according to the MPAA and RIAA, that isn’t happening.